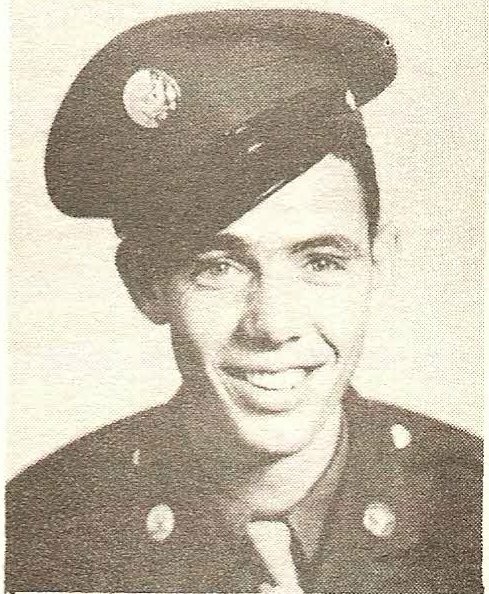 Pfc Elbert Phillip Crosthwait, son of the late E.P. Crosthwait, Bonita, Texas. Entered Army in 1942, trained at Sheppard Field, Texas, Long Beach, Cal., Trenton, N.J. Served in Africa. Discharged in 1945. Also listed as Elbert P. Crastwait on the Roster Page of the 1940's publication.